Doctorow's novels often read like long-form Wired articles. Either that interests you or makes you want to run in the opposite direction. 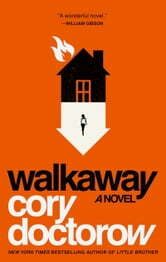 I liked Walkaway a lot, it may even be one of my favourites from Doctorow. An interesting cast, well paced story, big ideas. But if anything the big ideas aren't challenged enough. 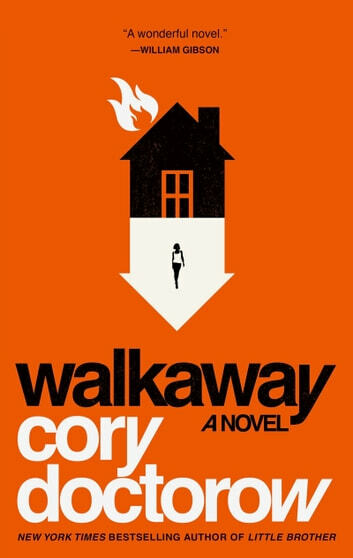 The Walkaways are portrayed as overwhelmingly good, and though the book attempts to paint them as a multi-faceted group they all accept the bigger plot points without protest (for example, everyone is all in when a version of immortality is offered, but the version of immortality as presented in Walkaways seems pretty f'ing horrible\terrifying, IMHO). Still a great read and would recommend. Some very 'now' concepts, pieced together to form an engaging story. The missing star is for when the author loses pace by straying into Mills and Boon territory. The resolution is very comforting, which I found myself wanting, despite not usually liking such neat conclusions. Vibrant and absorbing, Walkaway paints an image of the future that you'll wish didn't feel so realistic. Easily one of my favourite books of the past few years, and I was sorry when it ended.